This is a specialised area of cleaning and not all carpet cleaners are set up to carry out this service. It requires allot of knowledge and some specialized equipment. For example there are different types of rugs some are machine made and some are hand made. Quite often a hand made rug in Persia or Turkey will use vegetable dyes to dye the fibre and this dye is very often unstable which means it has the propensity to transfer (run) into other parts of the rug. Adelaide Cleaneasy has over the years developed special techniques so we are able to clean rugs like this with little chance of dye migration. 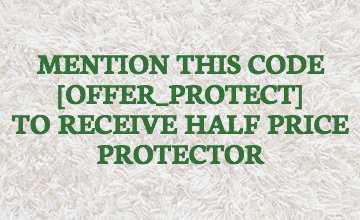 We are able to clean rugs at your premises or take them away to be cleaned. Cleaning them at our premises is the most effective way to clean them as we are able to clean them more than once if necessary and have more processes that we are able to use. How Clean Are Your Rugs? Often the statement piece in a living, dining or bedroom, rugs have the potential to lift the impact of the home, for residents and visitors alike. But with high foot traffic, spills and stains, pet debris and general dust, rugs need to be thoroughly cleaned on occasion in order to maintain their dramatic impression. What’s more, with ornate rugs often representing a significant investment, an in depth clean will ensure your premium rugs last for generations. Persian, Turkish and Afghan rugs, as some examples, all use variations in technique, fibre, dye and will consequently require very different cleaning methods. Mistakes can be disasterous—an incorrect technique might result in dyes running or fading. After years of experience working with these specific rug variations, Adelaide Clean Easy has developed a range of cleaning methods that carefully but effectively remove dirt and stains and reinvigorate your rug assets. And there are many other factors that will influence the clean that your rug needs—size, location, difficult stains that may have set over time. While our technicians are happy to provide an estimate over the phone to help you to make a decision, ultimately, a final fee will be only be discussed upon inspection of the rug or rugs in question, to ensure the fairest and most accurate rate possible. 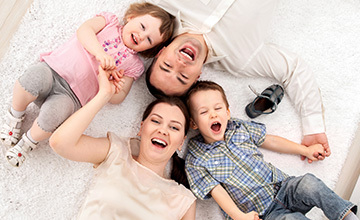 Our rug cleaning service is meticulous and thorough. Prior to commencing the clean, we will inspect the materials and fibres of your piece, and any particular stains or spots, to ensure that we deliver the most effective cleaning service. Using the latest in fabric and fibre cleaning technology, we’ll efficiently conduct the clean, and you will be greeted with a spotless, new-looking rug for an affordable rate. Our professionals are not only experienced in the industry, but also have formal training to ensure they deliver the best possible service on every single call out. Technicians are available to visit homes, workplaces, and any indeed any site around Adelaide in need of premium rug cleaning. All rugs are priced on inspection and only guides are given over the phone.